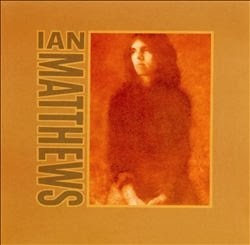 Ian Matthews is an English singer-songwriter. Plainsong broke up in 1973, their second album incomplete and unreleased. Ian Matthews stayed with Elektra Records for his solo career, and moved to California. His next album was produced by Michael Nesmith, who since leaving The Monkees had been pursuing a similar country-rock direction to Matthews. As usual for an Ian Matthews album, it featured a good selection of covers interpersed with a few originals and a traditional song. The highlights were without a doubt the stunning covers of Steve Young's "Seven Bridges Road" and Jackson Browne's "These Days". Also featured were songs by Richard Thompson, Randy Newman and Don Gibson. Among the backing musicians there were appearances from famed steel guitarist Red Rhodes and fiddler Byron Berline. Forgot what a fine record this was. Thanks for the post. Love the blog,there's a lot of fine music here!Could I make a request?Rob Galbraith's Nashville Dirt! great album! thanks for that dose of honky tonkin etc...Mike Nesmith was an awesome producer for this one. Any chance of a post for Some Days You Eat The Bear? Thanks in advance. After recently purchasing Matthews' newest recording, I've been reawakened to his magic. Thanks for sharing this and the 2 Southern Comfort (band) LPs. Good taste.